This place was low key alright... I didn't even know it existed. 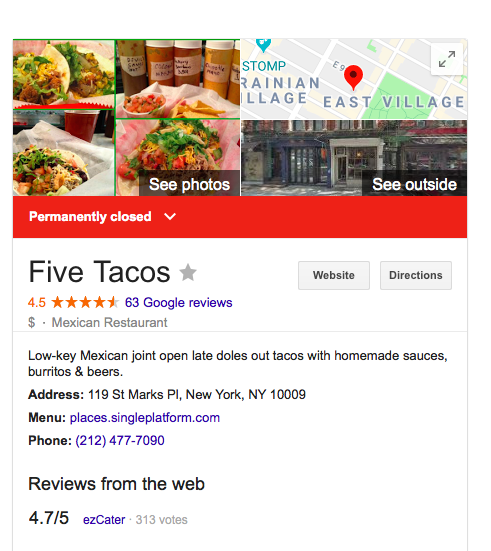 Always thought five tacos was terrible, much worse than al pastor across the street. Hopefully something better comes in. 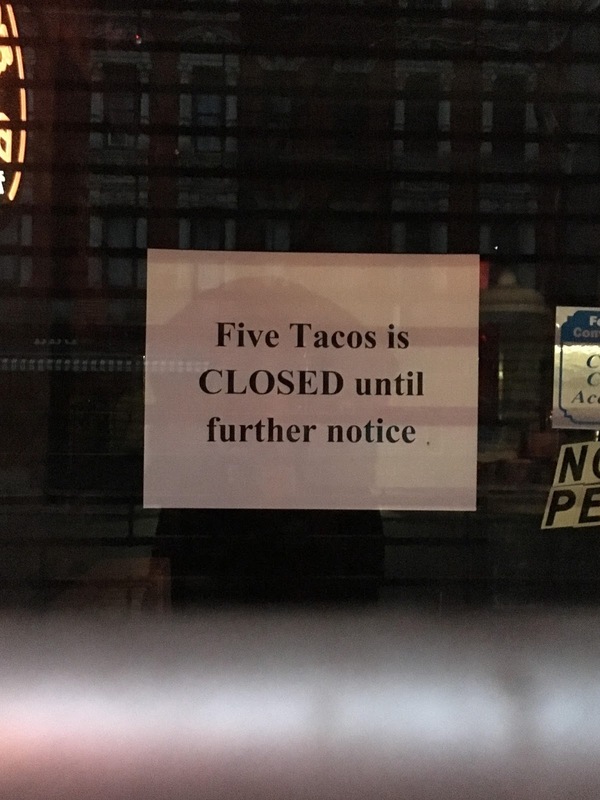 I tried 5 Tacos once. It reminded me of a school cafeteria's version of tacos. 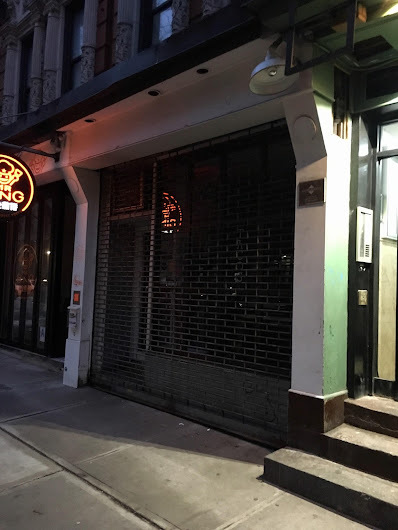 Al Pastor isn't bad...but the best tacos in the neighborhood are at El Diablito on 3rd St. between 2nd and 1st Ave.
What are the remaining taco places in the East Village besides El Diablito? Theres a few faux high end, Rosies, Black Ant stay away from. La Palapa is good but sorta pricier, but its a nice space.